Pastor Chris Oyakhilome Of Christ Embassy And Wife Anita Have Parted Ways For Good! 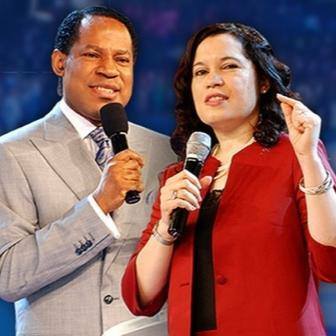 Pastor Chris Oyakhilome of Christ Embassy and his wife, Anita, has been finally sorted out their divorce procedure, indicating that the two have parted ways for good. 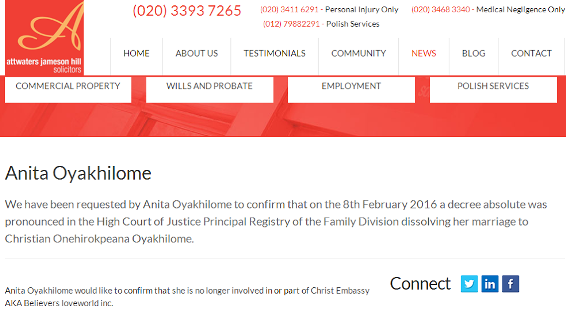 Pastor Anita's UK based solicitors, Attwatters Jameson Hill, confirmed the dissolution of their marriage on their website. Anita says she is no longer part of Christ Embassy. Anita and Chris Oyakhilome got married in 1991 and have two daughters. Below is a screenshot of the confirmation.